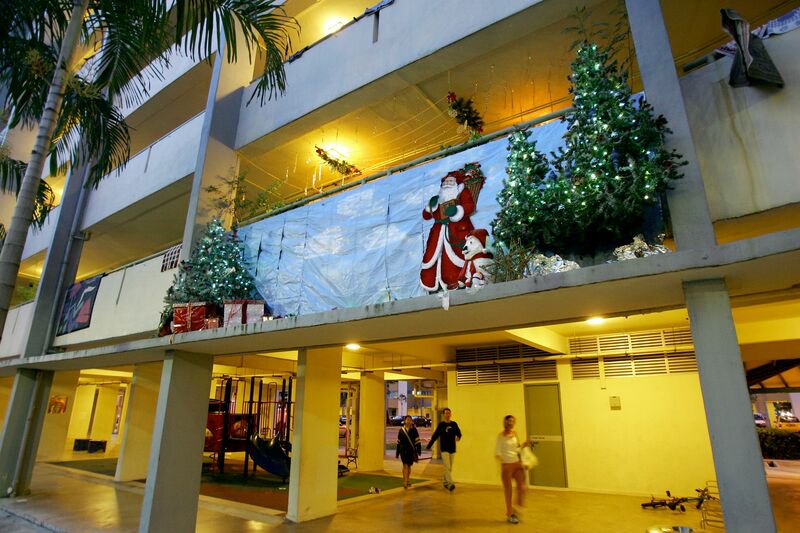 A resident has been asked to remove Christmas decorations, including a mannequin, from the ledge outside his second-storey Housing Board flat in Clementi for safety reasons. The ledge at Block 351 Clementi Avenue 2 is just above a walkway and near a playground. The centrepiece of the decorations is a mannequin wearing a garland and a Christmas tree-like dress. It appears to be fastened to the railing of the parapet using twine. Jurong-Clementi Town Council said its staff visited the resident on Tuesday after receiving an e-mail from citizen journalism website Stomp asking about the decor. "The decorative pieces were found to be adequately fastened," a town council spokesman said. "However, we expressed our concern for safety. The resident responded cooperatively and agreed to remove the display within seven days." The Straits Times understands that the town council is planning to discuss the matter further with the resident. When ST visited the flat yesterday, the mannequin was still perched on the ledge. There was no one in the unit. Ms Augusta Loh, who is in her 40s and lives elsewhere in Clementi, said she informed the town council last Friday about the decorative pieces as she felt that they were placed dangerously. "The decorations are not small... Below them, there's a footpath to the playground. Children walking there may be ignorant of the danger," said Ms Loh, who works in the facilities management sector. She also wrote to Stomp about this. It is not the first time the occupants of the Clementi flat have made the news because of their elaborate festive decor. According to the report, dance instructor Philip Sobrielo Gene lived there with his family. Madam Peggy Foo, 65, who lives next door, said yesterday that the decorations were put up last month. She said the family have been doing so every year for at least 10 years. "At night, they will turn on the lights. It looks very nice," she added. Another neighbour, who wanted to be known only as Mr Tan, said in Mandarin: "The decorations are here every year... There's no issue with them." 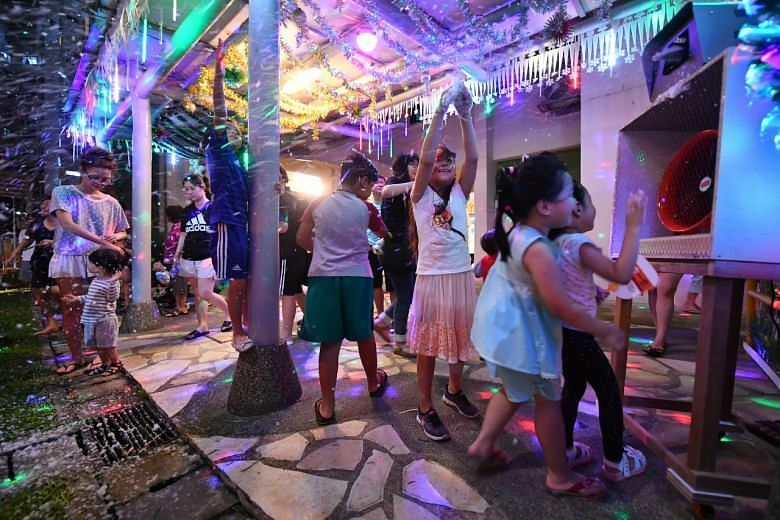 Last year, Woodlands resident Tan Koon Tat put up a snow machine, Santa Claus, a sleigh and reindeer at the carpark entrance next to his block - with the blessing of Marsiling-Yew Tee Town Council.